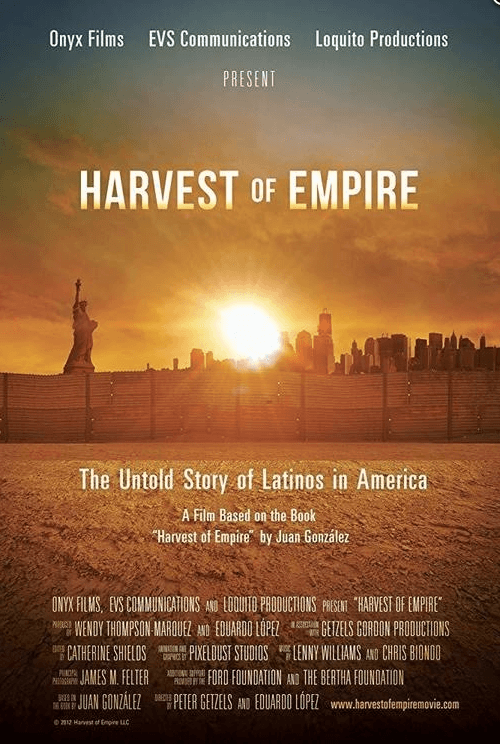 The Wayne Morse Center for Law and Politics hosts the screening of Harvest of Empire: The Untold Story of Latinos in America, a powerful documentary that exposes the direct connection between the long history of U.S. intervention in Latin America and the immigration crisis we face today. Followed by discussion. 110 Knight Law Center, 1515 Agate St.
Based on the groundbreaking book by award-winning journalist and Democracy Now! co-host Juan González, Harvest of Empire takes an unflinching look at the role that U.S. economic and military interests played in triggering an unprecedented wave of migration that is transforming our nation’s cultural and economic landscape. Sponsored by the Wayne Morse Center and the UO chapter of Define American.